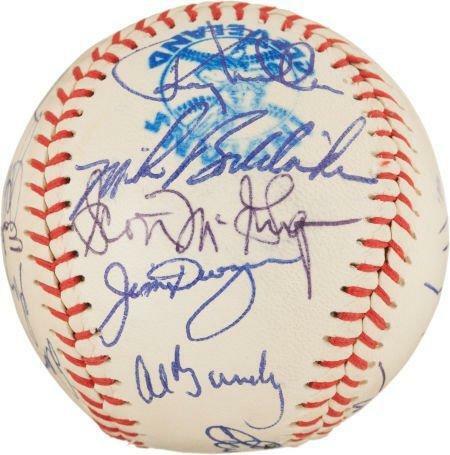 This baseball is signed by the members of the 1982 Baltimore Orioles, and includes the autographs of several Hall of Fame members and key players. It was Earl Weaver's final season at the helm of the Orioles, and the start of Cal Ripken Jr.'s record breaking career. The Orioles finished 2nd in the AL East before coming back the following season to win the 1983 World Series. 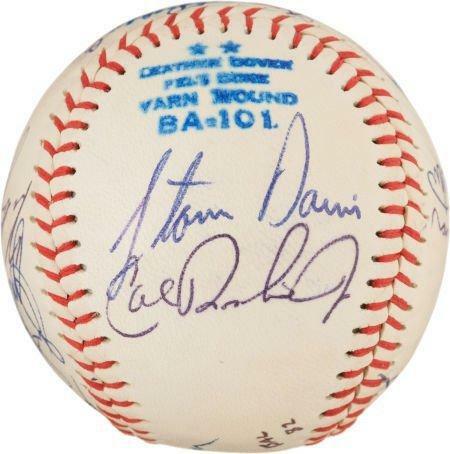 Interestingly enough, this baseball is stamped as an Official Baseball of the Cleveland Indians, The Sweet Spot features the autograph of Hall of Fame manager Earl Weaver. 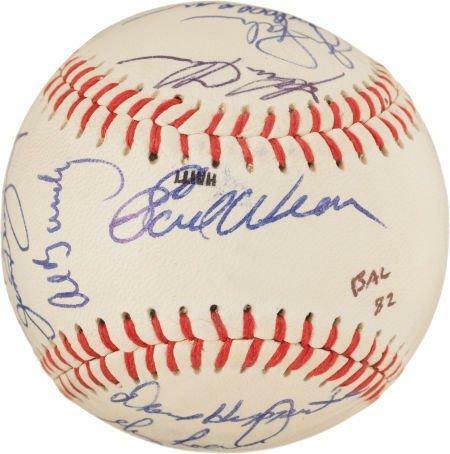 Others signing the ball include Ripken, Eddie Murray, Jim Palmer, Davis, Bumbry, Dwyer, McGregor, Boddicker, Singleton, Crowley, Lowenstein, Roenicke, Dempsey and more. 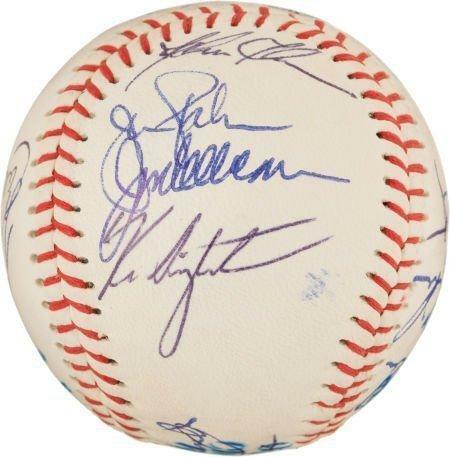 Nineteen (19) in all signed this baseball. 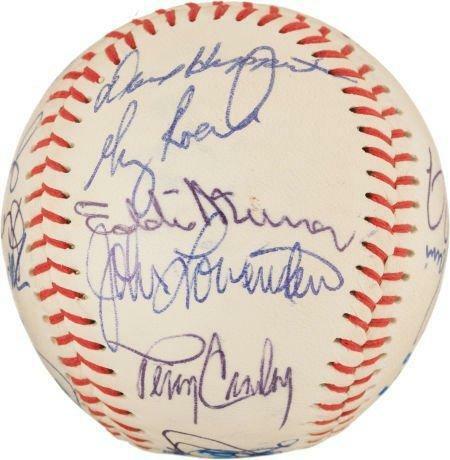 This is a great piece of team history for any Orioles fan or collector of signed memorabilia. Add it to your collection today. A Letter of Authenticity from James Spence Authentication is included. Due to the unique nature of this ball we must charge your credit card for the full amount immediately upon taking your order. This policy ensures we reserve the ball for you. We will confirm your order by Email. This ball is not game used. Please allow at least 2 weeks for delivery.